FCEUX is a Famicom/NES emulator that merges the different branches of the FCE Ultra project in to a single project. 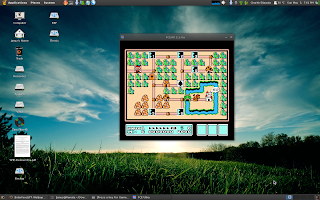 It is a great tool to have if you are a fan of classic NES games such as "Super Mario Brothers" and want to play them on your Linux machine. 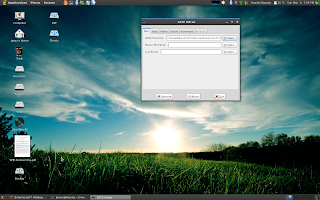 FCEUX has a host of features such as recording, Lua scritping etc. But as a casual gamer, you are probably only interested in getting the emulator up. For serious ROM hackers and advanced users, www.fceux.com is the place to start looking for additional info. FCEUX comes in two flavours. The Win32 edition and the SDL edition. We are only interested in the SDL version here. For Debian/Ubuntu users, a pre-packaged deb file already exists, but for the rest of us, it needs to be compiled from the source. Download the source tar ball from http://fceux.com/web/htdocs/download.php and extract it.